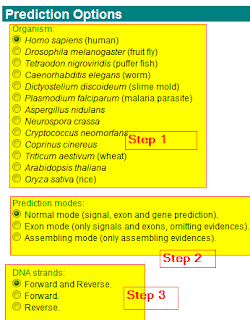 Now a Day, gene prediction tools are another important tools which are utilizing by different researchers to find out the open reading frame in vast amount of sequence data. 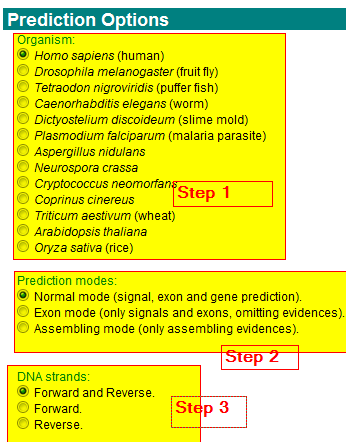 One of Bioinformatics-made-Simple reader asked me to give a list of few tools for plant gene prediction. FGENESH is a server from SoftBerry. FGENESH is also have a good collection of genome to predit the gene from. Follow the steps given in figure 2. GENESCAN is a webserver hosted at MIT. It has Limited genomes bu bit fast server. 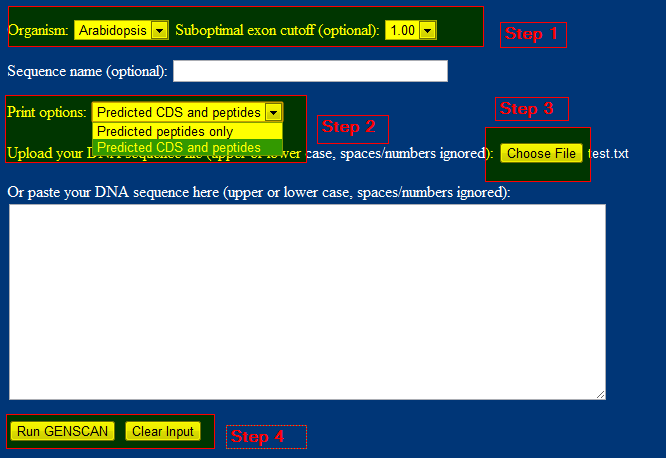 Steps to use GENESCAN are given in figure 3. GeneSeqer is hosted on PlantGDB dedicated to plant genomes. Although it is a good Bioinformatic server bu bit slow. 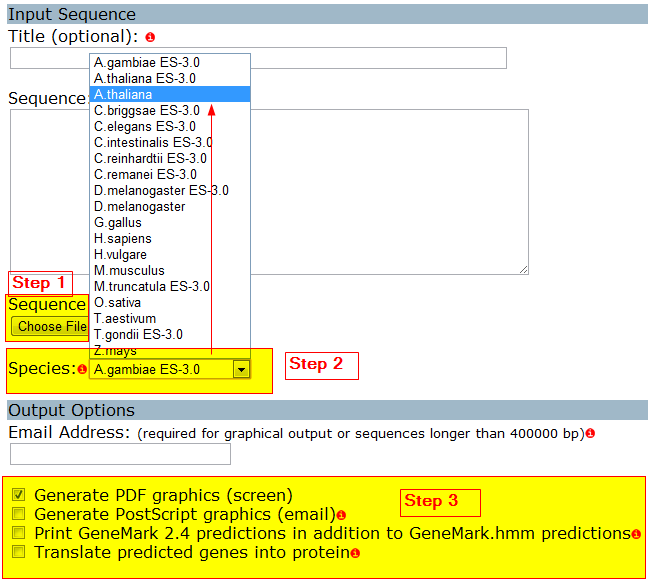 Steps to use GeneSeqer is given on their webpage. 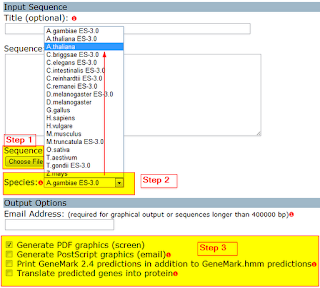 In second phase of ORF prediction by Geneid, you will choose the output format and other important feature of gene in your result file (Figure 5). 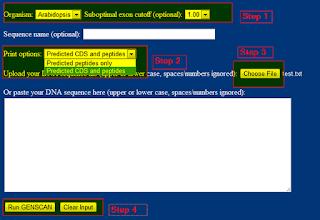 Thank you once again for the information gene prediction tools. I tried FGENESH and got the out put and try to convert into gff file using the perl program cnv_fgenesh2gff.pl ( got from web) it throwing error no such directory and making the input file zero bytes . I am not a perl programmer but can run the readily available progrms. I request you to suggest something to make the fgenesh out put in a tabular form so that it can be used further. the output table should contain inputseqno. 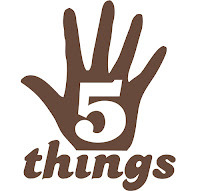 details (i.e tss/5utr/exon/intron/3utr/polyA/intergenic); start and end length fields. Once again Thank you for the prompt response.